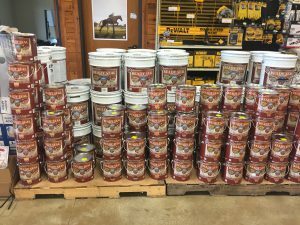 Shop Argyle Feed Store on Black Friday and Small Business Saturday and Save! We’ll have our Wagon full with bargains during overstock days. Come find a deal and shop a local business. Did we mention that lunch is on us Saturday, November 26th? Come sample various chili recipes during our Chili Cookoff. Want to participate in our Chili Cookoff? Find out more information about the event here. This entry was posted on Wednesday, October 26th, 2016 at 12:24 am	and is filed under Events, News & Updates. You can follow any responses to this entry through the RSS 2.0 feed. Both comments and pings are currently closed.